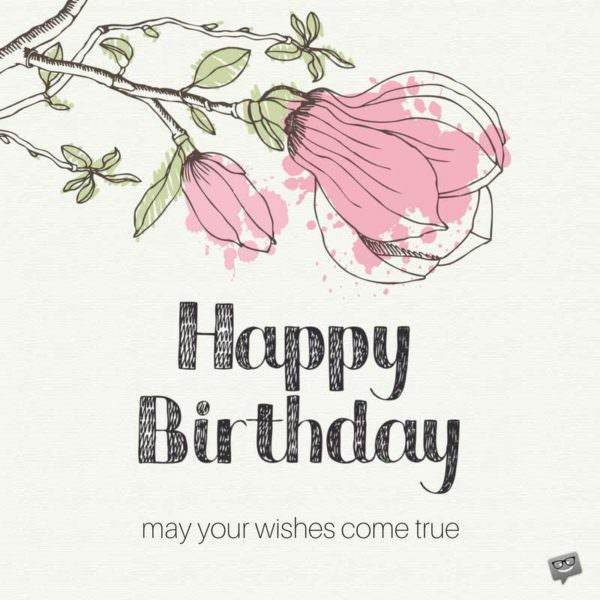 It is a fact that one of the best occasions to let a person know that they are close to your heart is on their birthdays and it is likely you are looking for great birthday wishes to send to an elderly person that you know. If indeed that is why you are here, then we suggest you heave a sigh of relief because your search might have just come to an end! On this page, we have loads of very sweet greetings geared to a wide range of elderly persons that you know. So why don’t you take opportunity of the birthday of that senior in your life to let him know just how much he or she means to you with the help of any of our sweet messages below?! You have reached a very significant milestone in life. I’m so lucky to celebrate this magnificent chapter of the life of a phenomenal man. Happy birthday. 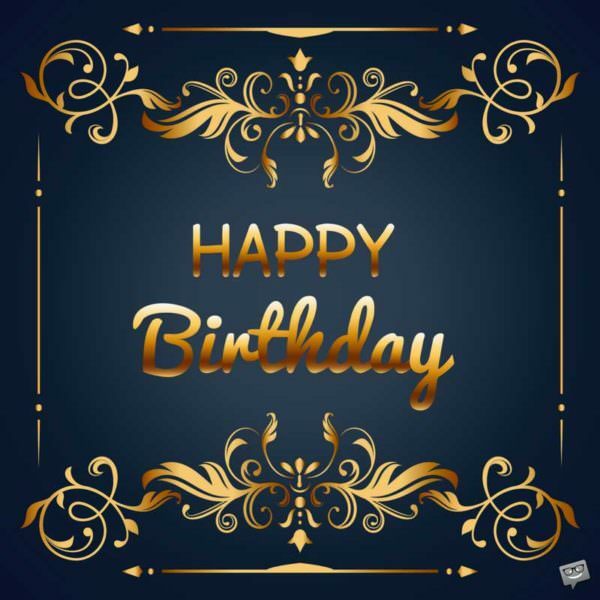 You have every reason to celebrate and be extremely grateful because not too many men are blessed to reach this age in good health and great strength. May blessings upon blessings keep on being bestowed upon your life. Happy birthday. On your birthday, I just want to congratulate you on a life well-lived. Your body might have wrinkles, but never will your heart. Happy birthday. You are never too old to achieve the burning desires of your heart. I hope you achieve every single desire nestled in your heart. Happy birthday. Not everyone is lucky to be blessed in their lifetime to see their children’s children, which is why I consider you blessed. I hope you count your blessings as you commemorate this special day of your life. Happy birthday. I hope you can use this special day of yours to reflect on the remarkable achievements you have made over the decades. You are truly an inspirational figure to me! Happy birthday. May true happiness be yours on this great day of your life, and may it accompany your life all your days in this world. Have a fabulous birthday. For ages, you have been one of the most outstanding members of this family. I’m so lucky God put you into this family, for without your presence, we would have no guiding light. I hope your birthday today is nothing short of fabulous! You have always been there for me and have fought many a battle of life by my side. Today, I thank you from the bottom of my heart. Thank you for pushing me to higher and higher levels. May happiness make your heart its permanent residence today, tomorrow and forever. Happy birthday. Thank you for bringing out the greatness in me. You’re the very epitome of inspiration. 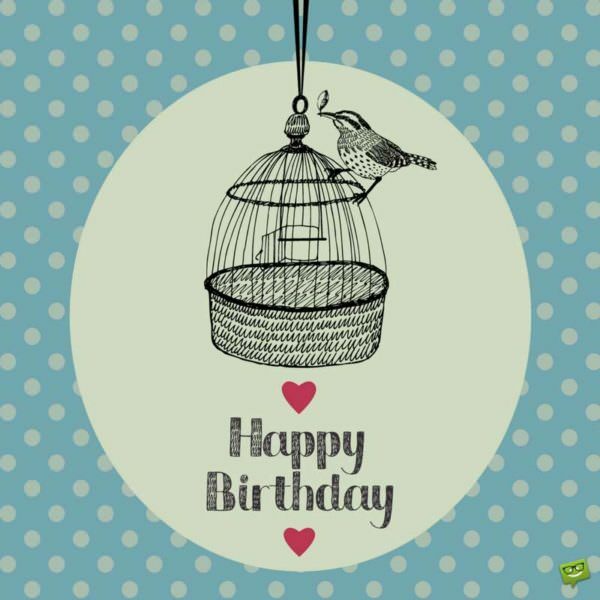 May God bless you with true happiness, health and strength all the days of your inspirational life. Have a great one! On your special day, I want to assure you that I’ll always be a phone call away whenever you need someone to talk to and keep you company. Happy birthday! You have always been a very special friend to me, and you shall always be special to me until the end of time. I hope your anniversary celebration is as special to you as you are to my existence. You bring pure unbridled happiness into my life by just being my friend. And for the happiness you bring me, I pray that you will be blessed abundantly on your special day and on all the days of your life. Happy birthday, my dearest friend. It is a fact that there are 24 hours in a day, just like the fact that you are a true and treasured friend to me! 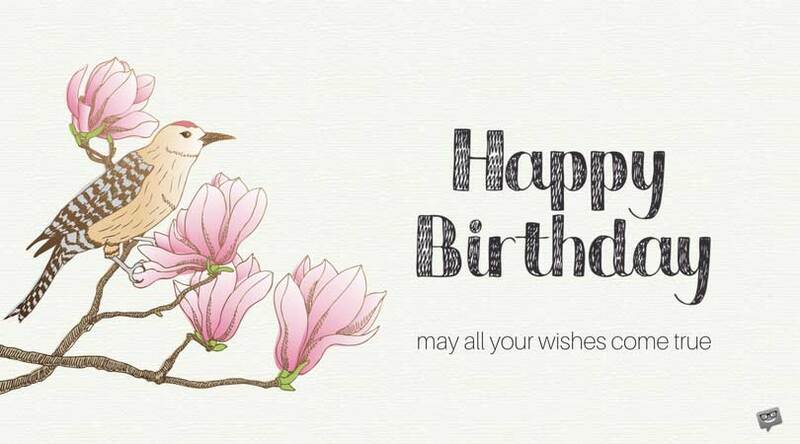 May you receive the choicest of the Almighty’s blessings all the days of your life. Happy birthday. Dear friend, on your special day, I want you to know that I will never swap you for any other because you’ve brought so much satisfaction and happiness into my life. Happy birthday, and forever stay blessed. My sweet friend, thank you for sharing your wonderful life with me. May God keep you healthy, happy and strong all your days on earth. Happy birthday. Words can never thoroughly explain to you how much I appreciate your presence in my life. You have been an outstanding boss, mentor and friend to me, and I can’t thank you enough for that. Happy birthday. I have only a handful of truly inspirational heroes in my life, and you happen to be one of them. Happy birthday. On your birthday, please allow me to express my deepest gratitude for your wonderful mentorship, kindness, and most importantly for loving me as though I was your own son/daughter. May life be wonderful to you like you have been to me. Bosses like you are very rare to find. As you celebrate this special day of your life, do know that I appreciate all your guidance and support. I pray that God will also guide and support you all the days of your life. One of the best gifts life ever bestowed upon me was making you my teacher. I am eternally grateful to you for sharing your incredible wisdom with me. Happy birthday, dear Sir/Madam. As you celebrate this great anniversary of yours, I pray for your health and strength so you can continue to positively change the lives of multitudes like you’ve done with mine. Happy birthday. You embody every wonderful thing that I admire in a teacher. On this great day of your life, I pray that the good Lord will preserve your life and always keep you as fit as fiddle. This is certainly a wonderful day as it is the day one of the greatest teachers in my life commemorates is/her arrival on this earth! On this outstanding day, I thank you from the depths of my heart for all the priceless things you’ve taught me. Besides the coffee machine, you are my favorite workmate! Thank you for all the guidance and support you constantly give me at work. Happy birthday! I’m blessed to have you in my life because you are the best colleague anyone could ever ask for. May your world be filled with sunshine and your body with good health and strength. Have a super duper happy birthday! To age is one of life’s greatest privileges, and I’m so glad you have been blessed with such an amazing privilege. Happy birthday. School was wonderful because I had a mate and friend like you. Today, I pray that love, peace, good health and happiness will always accompany you everywhere you go all the days of your life. Have a blissful birthday. On your birthday, may God forever shield your from anything that breaks your heart while simultaneously exposing you to things that overfill your heart with happiness. Have a beautiful day! Wishing one of the most treasured people in my life a fabulous birthday celebration. May you be granted good health and a perfectly happy life all your days on earth.